Dubai, UAE, April 2018: This Spring 2018, GUESS is proud to introduce actress, social media star and fitness enthusiast, Amanda Cerny as the face of GUESS’s newest Activewear collection. 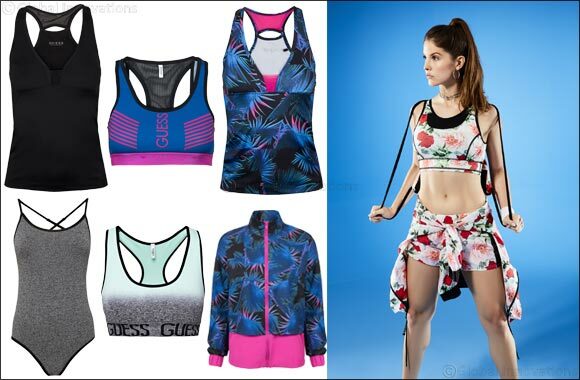 This capsule includes a selection of sports bras, bottoms, tops, bodysuits and jackets in bold, vibrant colors. million subscribers. Since then, her social media influence has skyrocketed, reaching over 17.4 million Instagram followers and 1.8 million YouTube subscribers. With such an influential social media platform, Amanda has now branched into modeling and acting, appearing in numerous fashion magazines and TV segments nationwide. Given her fitness professionalism and massive fan base, she is able to use her social media channels to inspire others with workout tips, techniques and fitness videos. emblazoned with GUESS across the front, a crisscross bodysuit designed to hug every curve for a flawless, comfortable fit as well as a black and white sports bra, wind breaker, tank top and leggings. The GUESS Activewear Collection will be available at select GUESS retail stores mid-April.